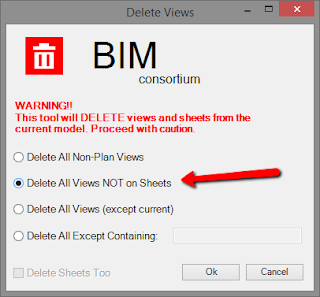 It's been awhile since we checked in with Troy Gates of Revit Coaster, and this post falls under the category of better late than never. This tool will place a generic family with 3D text into the center of every room at the specified height above the room's level. 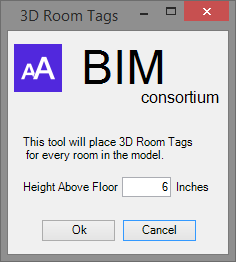 Load the included family Room Tag 3D BIMCon.rfa. This family can be modified to what you want it to look like as long as it keeps the same name. I will add an option in the future to pick a family of your own. 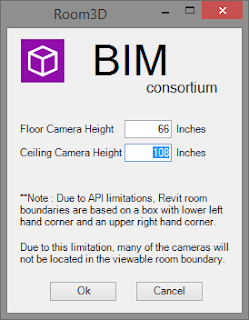 This tool will create four (4) 3D Camera Views for every room in the model. The views are placed at lower-left and upper-right at floor and above ceiling. The heights are adjustable. * Note: Because of how the API determines a room boundary as a rectangular box, the cameras may be located outside the actual rooms. This tool is actually two (2) tools, Merge 2 Text and Merge Multiple Text. 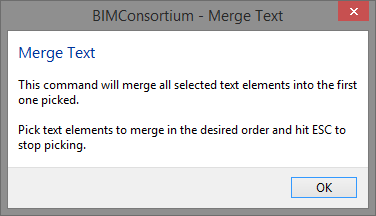 The first one will take two (2) pieces of text and merge them together with several options available. 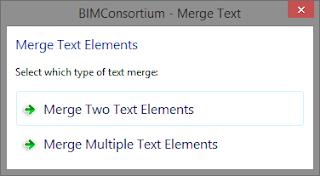 The second tool will merge several text elements into the first one selected. Notice that you need to hit ESC to end the selection of elements. 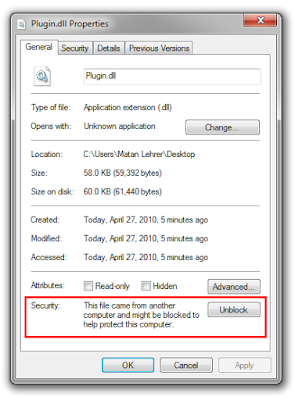 If you receive an error in Revit about not being able to load the addin, go to the folder where you saved the dll file, right-click the file and go to properties. 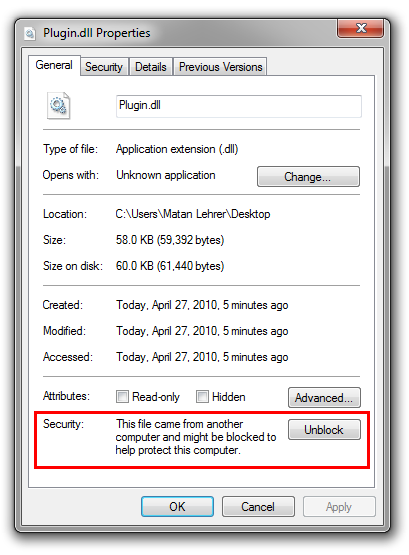 In the properties dialog click the button to Unblock the file. 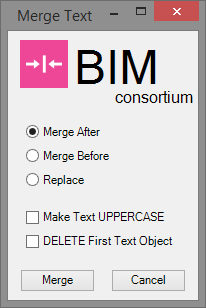 The BIM Consortium add-in is brought to you by Troy Gates. It's free! This add-in is compatible with Revit 2015 and 2014. 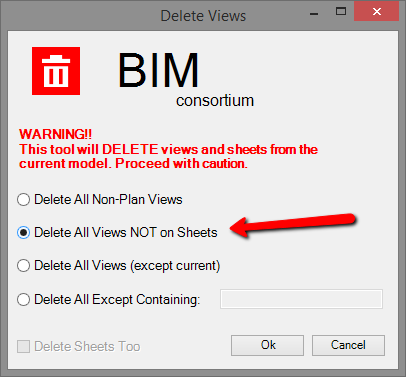 There's more information available on the Revit Coaster blog..